From 3:30 p.m. to 5 p.m.
Christina Gibbs was born in Boise, Idaho, and moved to the Silver Valley when she was six where graduated from Kellogg High School in 2012. Her interest in math, science and the human body pushed her towards her degree in biological engineering. During her time at U of I, she was an active member of Alpha Phi sorority, where she held the director of scholarship and director of community service positions. She also was active with other on-campus organizations including the Volunteerism and Social Action Center where she went on an Alternative Service Break Trip to volunteer in the Tenderloin District of San Francisco. Additionally, she has participated in almost every Saturday of Service and Make a Difference Day the university has hosted while she has been here. During her summers, she spent three fighting wildland forest fires for the US Forest Service (USFS) and spent the fourth researching in Professor Bryn Martin’s Neurophysiological Imaging and Modeling Lab where she analyzed cerebrospinal fluid flow and geometry in monkeys as part of a team working to develop a computer simulated flow model of cerebrospinal fluid for intrathecal drug delivery. Gibbs has had the honor to work multiple jobs during her time at the U of I, some of which include being a caller for VandalConnect, the films coordinator for the Associated Student of the University of Idaho (ASUI), and a notetaker for Disability and Support Services. The first semester of her fourth year, she had the privilege to do an exchange to Hawaii where she was an active student at the University of Hawaii in Manoa. It was upon returning to U of I the second semester of her fourth year that she began her work with Professor Martin in his lab and also teamed up with Professor Nathan Schiele to start the first Biomedical Engineering Society chapter at the University of Idaho and acted as the first president. In her last year of school, she has been a certified nurse aid at Aspen Park nursing home in Moscow part time. Gibbs has been selected as the Highlighted Senior for the College of Engineering for spring 2017 commencement and is also a recipient of one of the Student Achievement Awards in Leadership and Service. 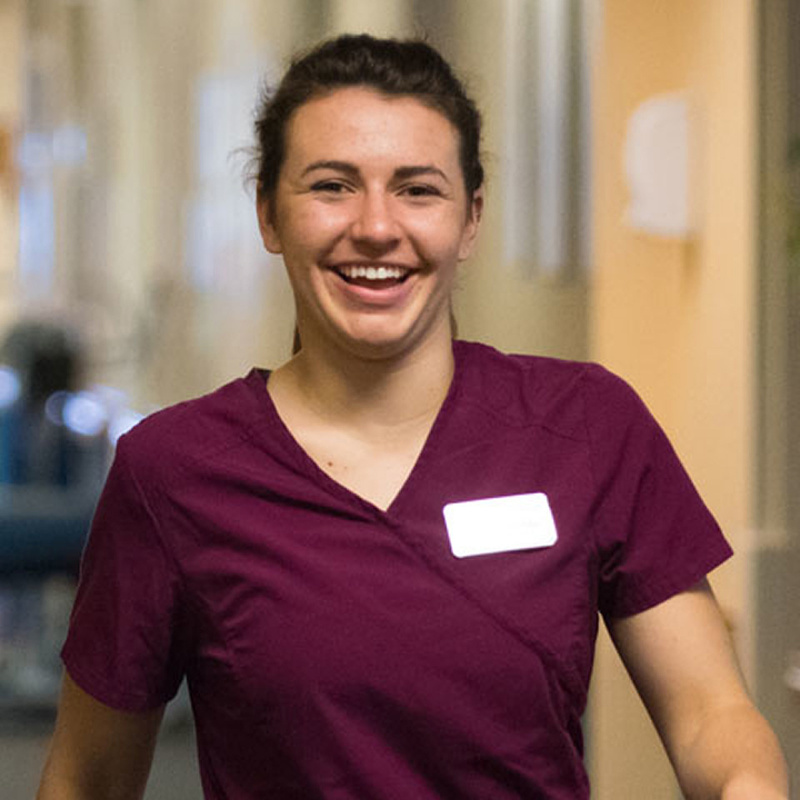 After graduation she will be working in the Emergency Room at Kootenai Health and plans to enroll in medical school in the fall of 2018 to become an Emergency Room Physician. Learn more about Christina Gibbs. Karina Eyre hails from Parker, Colorado. Her parents are U of I alums; her father is also a civil engineer. 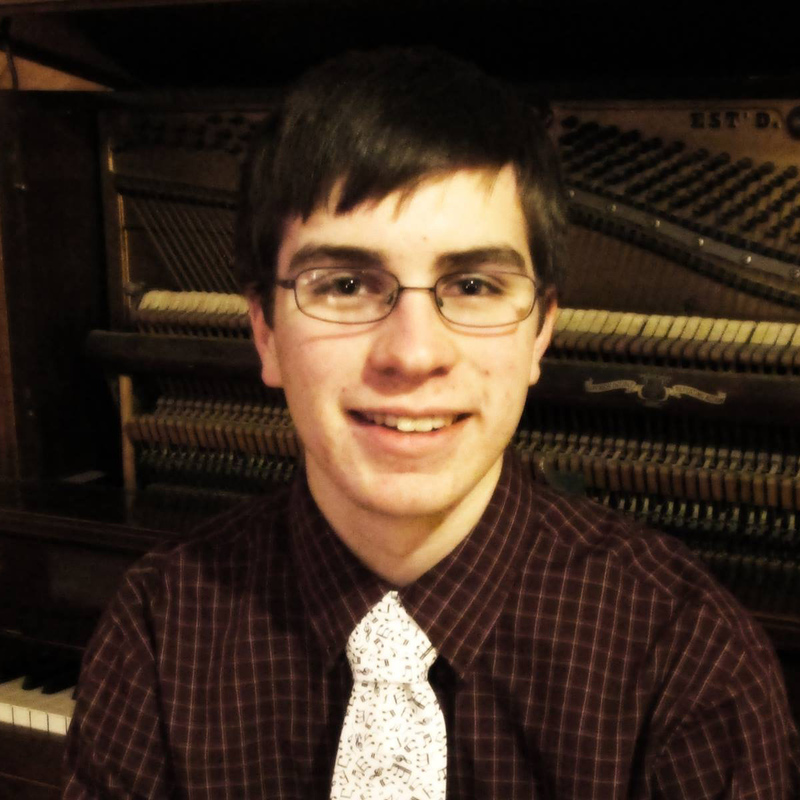 Eyre is in the U of I Honors Program and is an engineering scholar. She has been an active member of the Society of Women Engineers, serving as its secretary, vice president and industry relations chair. She has been a Vandal REPS campus tour guide since 2014. She has twice participated in the Pacific Northwest Clean Water Association’s student design competition. 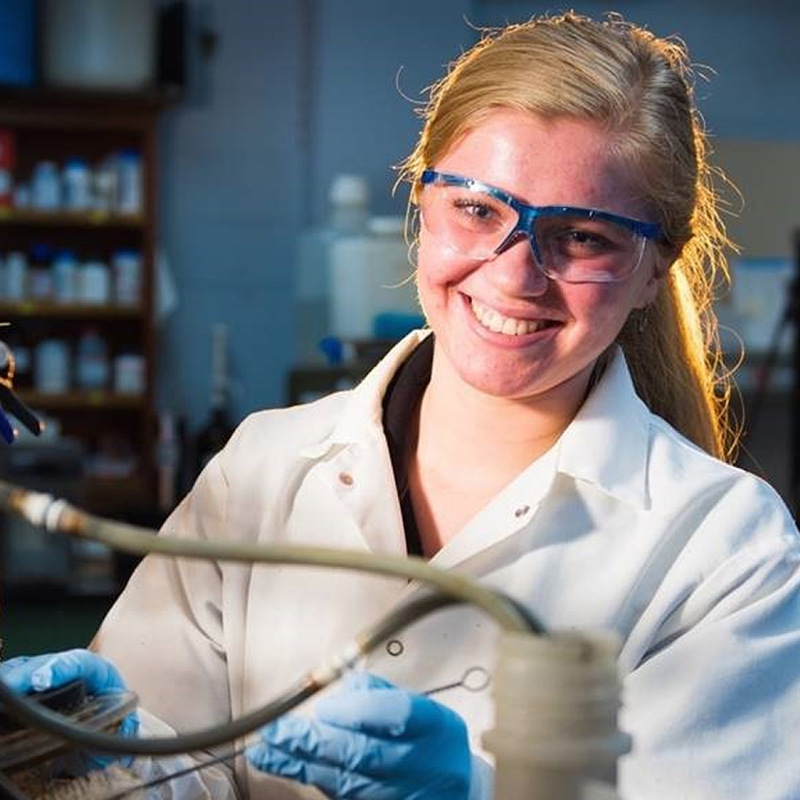 Over the past year, Eyre has worked as an undergraduate researcher in Professor Erik Coats’ Environmental Engineering Laboratory. During her time at U of I, she also participated in five dance performances with the Department of Movement Sciences. Eyre will attend graduate school at Michigan Tech in the fall and pursue a master’s degree in environmental engineering. Learn more about Karina Eyre at uidaho.edu/karina. Originally from Dumas, Texas, Zachary Beaman moved to Clark Fork, Idaho to embrace the rugged lifestyle of northern Idaho. There he married his wife Amy, began a family and returned to college at North Idaho College in Coeur d’Alene in 2012. There he discovered a niche of interest and passion in math and chemistry. After being selected for INBRE internship in Moscow during the summer of 2014, he transferred to University of Idaho to major in chemical engineering. The University of Idaho has fueled his interest and passion for the field through the support, mentorship and friendship of the faculty, staff and fellow students. During this time, Beaman has worked in the shop under a work-study program and has been a tutor and undergraduate teaching assistant. He recently participated in the team competition at the New Mexico State University’s Institute for Energy and the Environment WERC International Environmental Design Contest. The team took second place in Task 1. After graduation, he and Amy with their four daughters will move to Boise to begin his career at Micron Technologies. For all of the support, encouragement, opportunities and challenges given to him during his time at the University of Idaho, he is grateful. 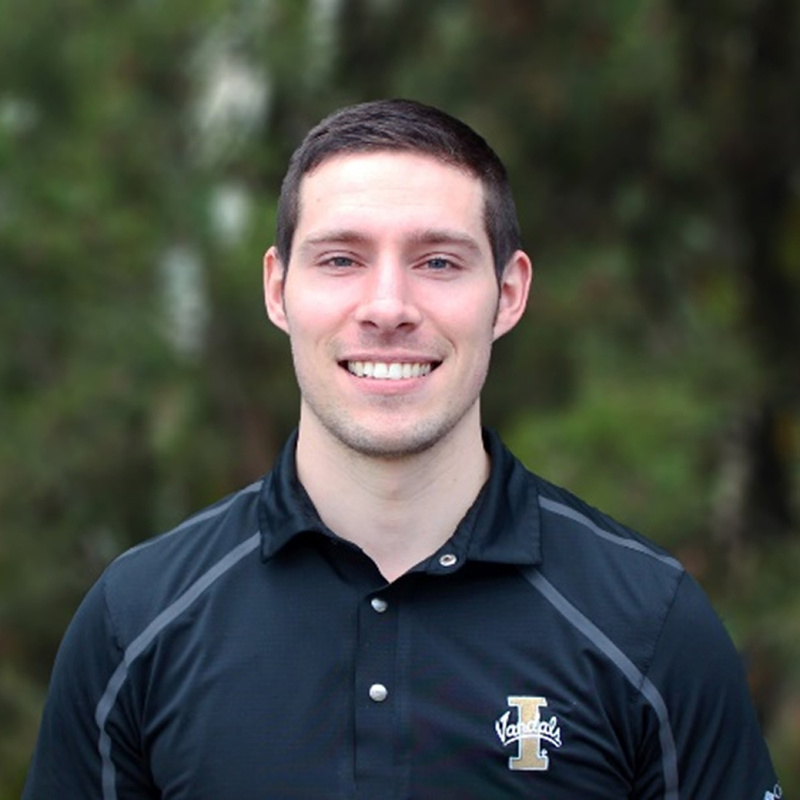 Learn more about Zachary Beaman at uidaho.edu/zachary. Born and raised in Portland, Ore., Robert Stewart taught himself to code at age 11 with the help of the online community. His first breakthrough came less than a year later when one of his apps peaked as the #4 free app on the app store. 1.5 million people have downloaded the app to date. In high school, Stewart expanded his breadth of experience with internships, including software development and validation work at Intel. He also began to take community college and university courses to jumpstart his undergraduate career. Additionally, he attended Apple’s Worldwide Developer Conference (WWDC) in 2014 and 2015 as a student scholarship competition winner. Fascinated by the world of software, Stewart decided that computer science was the major for him. 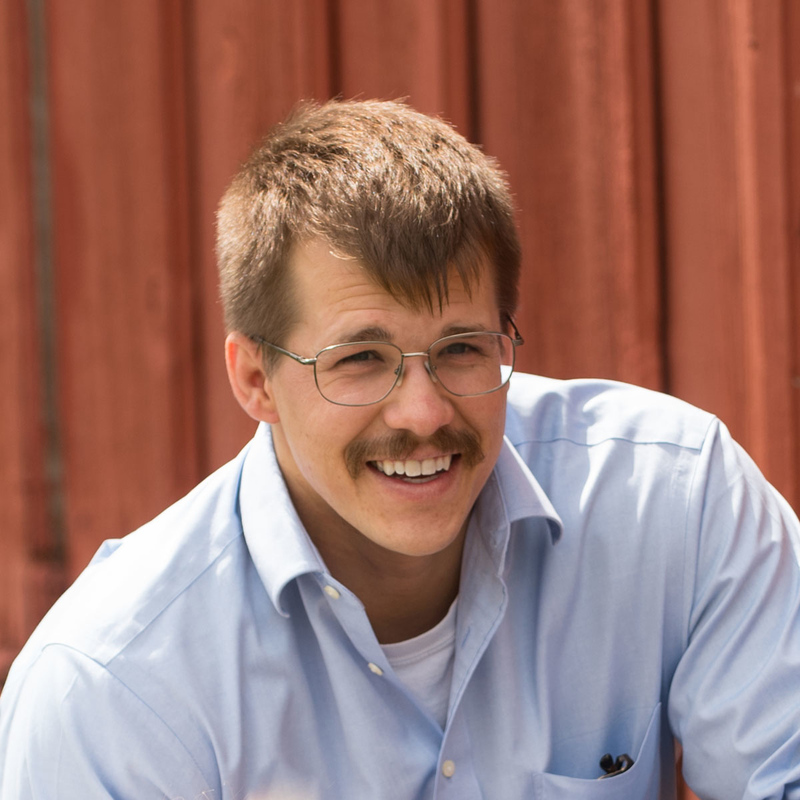 The University of Idaho’s strong engineering program and generous scholarships for National Merit Scholars caught Stewart’s attention so, after graduating high school at age 16, he started full time at U of I. In addition to his course load, Stewart continued gaining internship experience in college. He worked as a software engineering intern at Schweitzer Engineering Labs from January to December of 2015. 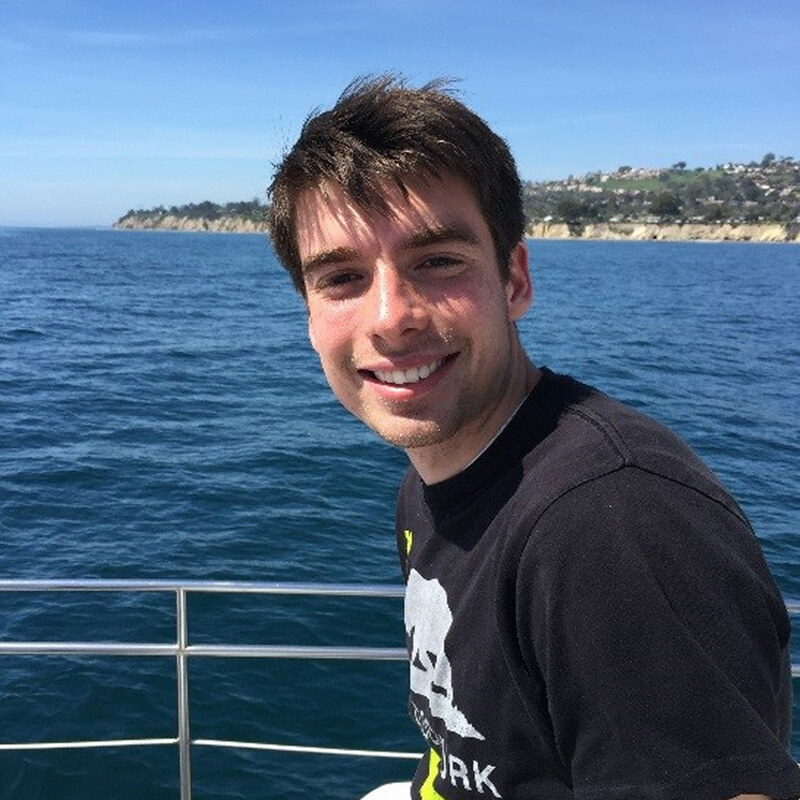 A month after concluding this internship, Stewart took the spring semester off from full-time coursework and moved down to Cupertino, Cal., to intern at Apple. After taking a week off, Stewart spent the summer in the Seattle area interning at Microsoft. As Stewart prepares to graduate at age 19, he is grateful to God for the opportunities thus far and the solid foundation that his U of I education has set. Stewart is excited for the adventure ahead as he begins his dream job as a software engineer at Apple in June. Learn more about Robert Stewart at uidaho.edu/robert. David Handy grew up in Corbett, Oregon where he developed a strong interest in engineering and technology. At the University of Idaho, Handy has been involved in the Engineering Scholars program and also runs the satellite communications system on high-altitude balloons for the Vandal Atmospheric Science Team. Handy plans on a career in the aerospace industry and has interned at Aerovel Corporation and NASA Ames Research Center. After completing his bachelor's degree in computer engineering, Handy will work as a software engineer at Garmin AT in Salem, Ore.
Alexa Aguilar is an Idaho native, born and raised in the Boise suburb of Nampa, Idaho. She is a first-generation college student and knew she wanted to become an engineer since she first learned about the Voyager missions and heard Carl Sagan speak of “the pale blue dot”. When she first came to the University of Idaho, she started out as a CS major, but quickly switched over after realizing hardware was more her calling. She’s been involved with many extracurricular clubs and activities, like the Clean Snowmobile Club, ECE Ambassadors, Tri Delta and IEEE, all while maintaining a 4.0 GPA. She’s held two summer internships, one at Micron Technology and one at NASA Jet Propulsion Laboratory. This year, she’s been working on a self- proposed senior design and research project: the RF Energy Harvesting project. 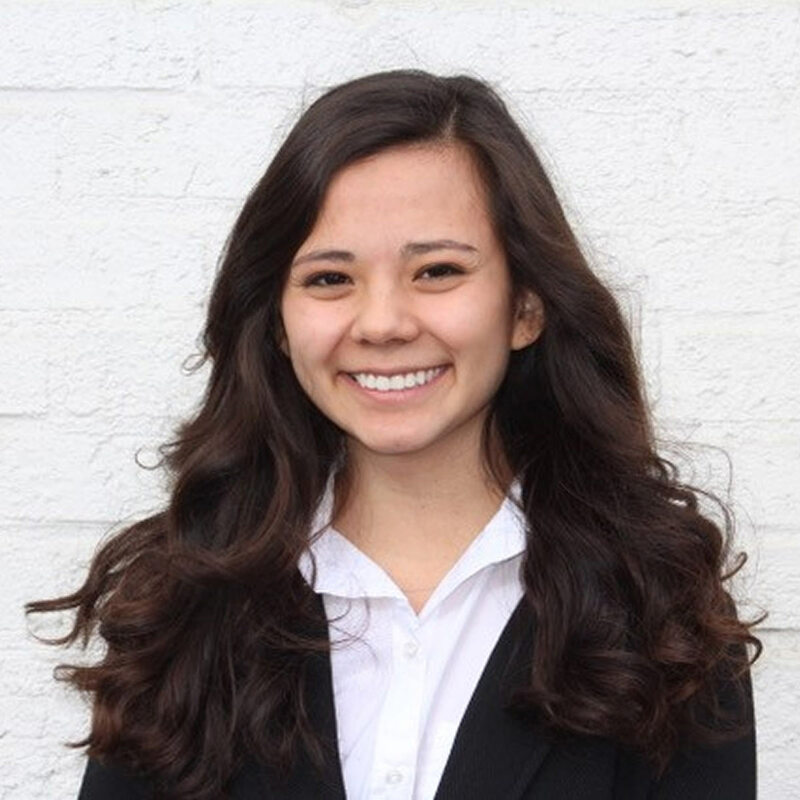 After graduation, she will be interning at MIT Lincoln Laboratory and pursuing graduate studies at MIT in the AeroAstro department beginning this fall. Learn more about Alexa Aguilar at uidaho.edu/alexa. Christian Williams was born and raised in Idaho Falls and will graduate this spring with a bachelor's degree in industrial technology. 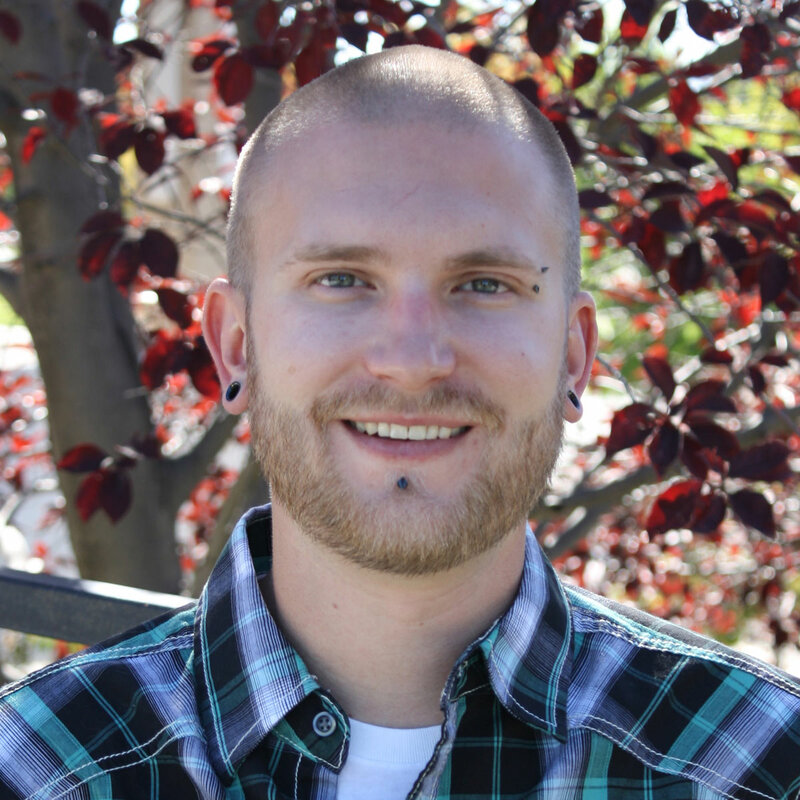 Williams worked for the Idaho National Laboratory-MarCom LLC, as a radiological control technician for a few years until he decided that he wanted to further his education full time. He chose University of Idaho-Idaho Falls because of the industrial technology degree as it requires a lot of courses that are industrial engineering focused and so he didn’t have to relocate to Moscow. Many experiences and opportunities have been available for Williams while being an undergraduate student at U of I Idaho Falls. He had the opportunity to work with Professor Raghu Kanakala and two graduate students on a research project: Wear Studies of FeCrAl, Zircaloy-2 and SS304 Cladding against X750, which directly related to the Industrial Technology program. He was able to present their findings at the Materials Science & Technology 2016 International Conference in Salt Lake City, Utah. Although public speaking was not directly related to the INDT program, it still provided significant experience. After graduation, Williams and his wife are planning on a week vacation in Cancun after which he hopes to have an exciting career in the industrial technology field. Autumn Pratt grew up in Sanders, Idaho, living in a wall-tent, homeschooling, and raising goats, which was a very pleasant way to be a kid. In ninth grade she moved to Moscow to attend high school at Logos, where she became very interested in math and physics. Pratt stayed in Moscow for college because she liked the area, the engineering school at U of I is good, and Maria Pregitzer was really nice at the information meeting. She has been very pleased with her choice: the Department of Mechanical Engineering is organized and friendly, and everyone knows each other. “The students around me work hard and encourage me, and I’ve learned a lot. 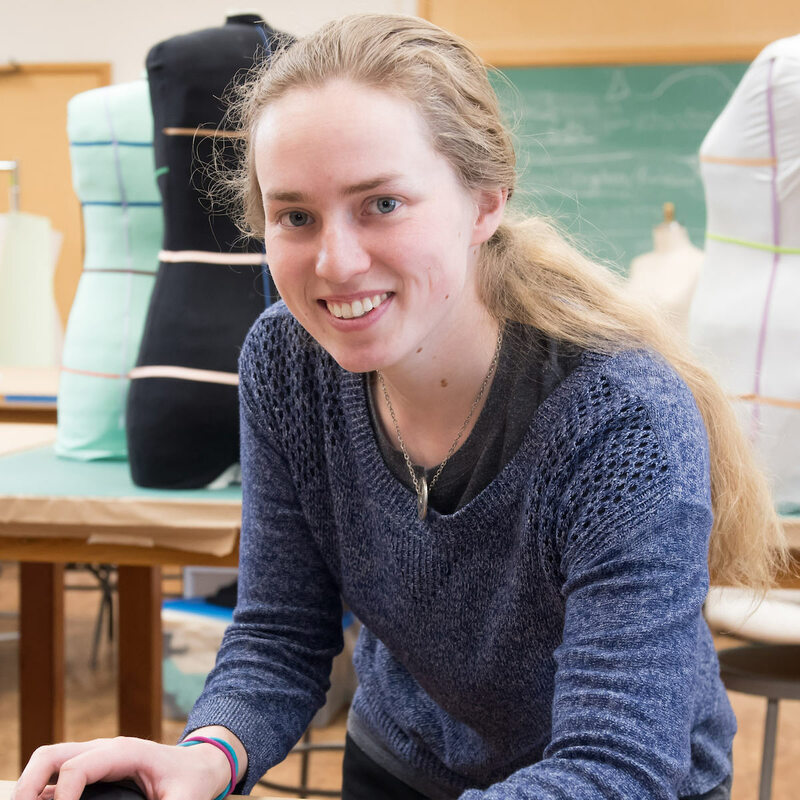 I plan to continue to grad school next year, with a particular interest in biologically inspired engineering.” Pratt will attend Cornell University next year for graduate school. Learn more about Autumn Pratt at uidaho.edu/autumn. Adam Sedgwick was born in northern Utah on a wheat farm near the small town of Grouse Creek. Growing up on a farm taught Sedgwick to appreciate and even enjoy the ability to work hard and to get a job done right. His interest in mechanical systems and how they work began with his exposure to farm equipment. By age 12 Sedgwick’s family moved to Post Falls, Idaho. He is very grateful for the education he received in high school. A number of teachers were key in helping him grow in his desire to learn and do well in school. Sedgwick really began to enjoy learning and felt he was gaining knowledge and skills that would him solve problems and make a positive impact on others. Having an aptitude for math and science and a desire to create and build tools or products to help others, Sedgwick decided to go into mechanical engineering. It was a great choice. The decision to go to the University of Idaho was an easy one; it has a great engineering program with very helpful and involved faculty, is affordable and is a great area. Since being here at U of I, Sedgwick has been involved in the Engineering Scholars program, the American Society of Mechanical Engineers (ASME) and the Clean Snowmobile Challenge team. Each as given Sedgwick opportunities to participate in project work, go on site tours and develop as a mechanical engineer. Last summer he interned at the Naval Reactors Facility (NRF) in the Facilities department. Sedgwick has accepted a full time position as a facilities engineer with NRF and will start in June. Selso Gallegos grew up with nine siblings in Parma Idaho, a small town near Boise, Idaho. 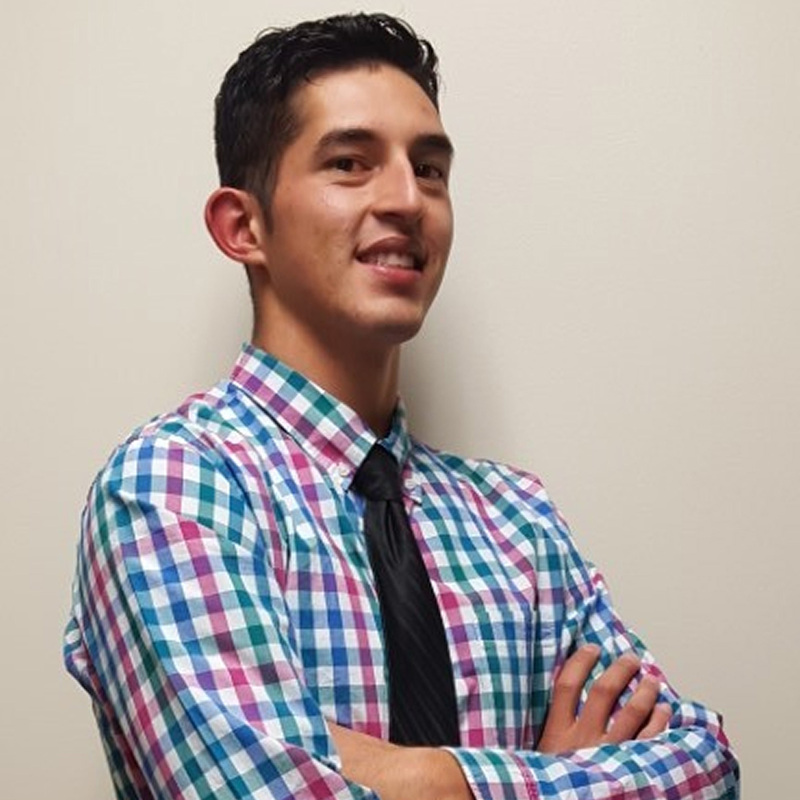 Gallegos’ parent’s hard work and siblings’ support and accomplishments inspired him to pursue a bachelor’s degree in mechanical engineering at the University of Idaho. Gallegos’ experience at the U of I has been challenging and rewarding, from his course work in the Department of Mechanical Engineering to his involvement on campus and in the Moscow community. After graduation Gallegos is excited to begin his professional career as a supply chain engineer at Intel in Chandler, Ariz. Learn more about Selso Gallegos at uidaho.edu/selso. Sean Instasi grew up in Lake Stevens, Wash., and graduated from Lake Stevens High School. He transferred to the University of Idaho in the summer of 2014 after obtaining an associate's degree in business from Cuesta College in San Luis Obispo, Calif. He will graduate with a bachelor's degree in material science and engineering in spring 2017. He has been a part of various research projects including isolating different tetrahedral phenylsilsesquioxane crystals, spark plasma sintering of mechanically alloyed iron alloys as a suitable nuclear material, and pressure resistance welding of molybdenum alloys. Instasi plans to attend graduate school here at the University of Idaho to further his research on pressure resistance welding of molybdenum alloys. He is married and has worked a full-time job for most of his college career. “I shall pass through this world but once. Any good therefore that I can do or any kindness that I can show to any human being, let me do it now. Let me not defer or neglect it, for I shall not pass this way again.” This quote was credited to Stephen Grellet; a French-born American Quaker missionary and committing it to memory has given impetuous to Ezekiel Adekanmbi’s determination to always strive to leave a good legacy. Adekanmbi, who hails from Ogere Remo, Ogun State, Nigeria, attended the University of Lagos for his bachelor's degree in chemical engineering before joining the University of Idaho in fall 2014 for his graduate studies. He obtained his master’s degree in chemical engineering in spring 2016 and has, since then, joined the doctoral degree program in the same department. 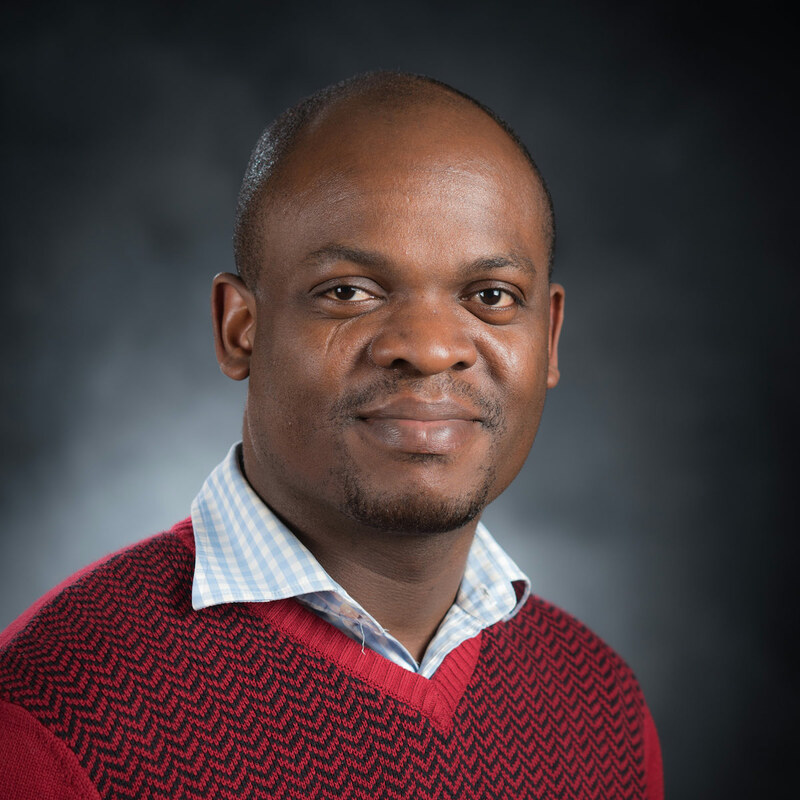 Adekanmbi seeks to develop low-cost, point-of-care diagnostic tools for early detection of various infectious and non-infectious diseases using an electrokinetic technique called dielectrophoresis. He will be joining the microfluidics group at Corning Research and Development Inc., New York for the 2017 Summer Internship Program. Adekanmbi unwinds by playing the piano. After graduation, he plans to be a faculty member. Kai Coldsnow is inquisitive and a problem solver at heart. From the young age of 11 when he competed in the U of I Mars Rover competition, to 16 when he participated in JEMS (Junior Engineering, Math and Science) program at U of I, he has enjoyed learning how the world does — or doesn’t — work. 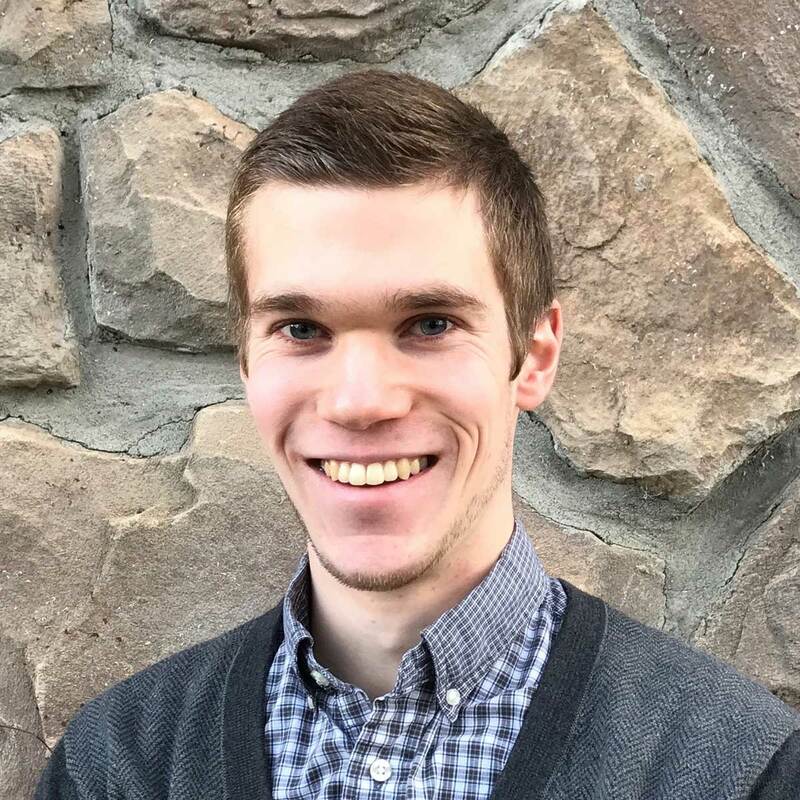 His learning culminated in a bachelor’s degree in chemical engineering from the University of Idaho in 2015, where his senior design team earned first place at the WERC Environmental Design Contest. 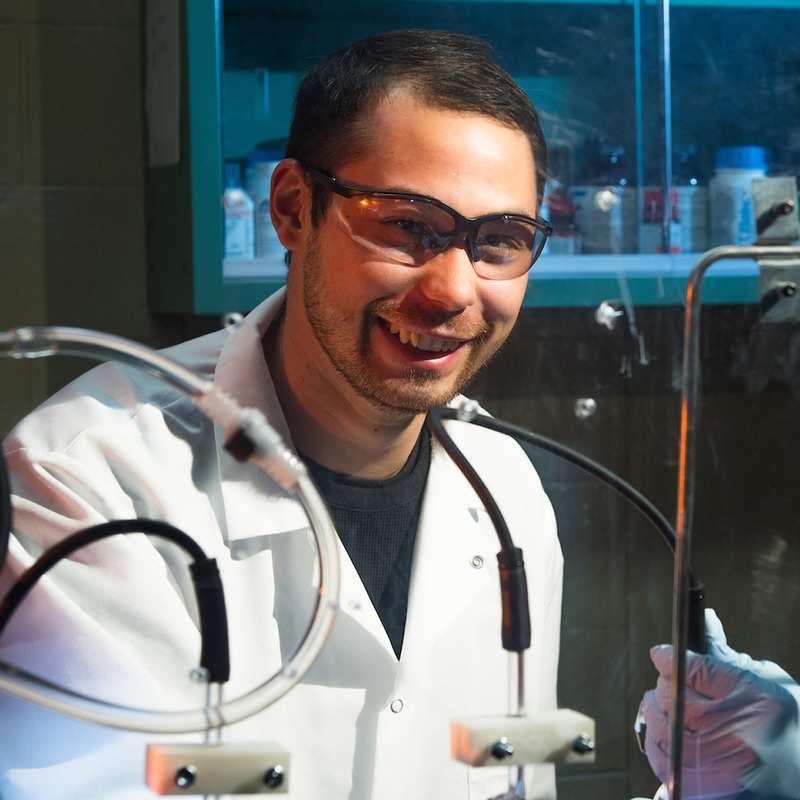 He continued to pursue a master’s degree in chemical engineering researching methods to clean nuclear waste, which he will earn summer of this year. Coldsnow wants to continue applying his experience to further clean energy technology. Coldsnow was born in Tillamook, Oregon, he grew up in Moscow, Idaho and is a graduate of Moscow High School. Edwin Odom received his bachelor's degree in mechanical engineering from the University of Wyoming in 1974. After he served in the U.S. Army for four years with tours at Aberdeen proving Grounds and the Arctic Test center returned to the University of Wyoming for graduate studies completing a master’s degree in 1982. Odom worked as a staff research engineer and then as a composite materials manufacturing engineer at General Electric before returning to the University of Wyoming to earn his doctorate degree in 1991. He began his academic career at the University of Idaho as an assistant professor in Mechanical Engineering in 1991. His areas of interest include experimental and analytical mechanics. A long time interest has been on energy methods and more recently the Engesser-Crotti theorem. Additionally, Odom has been directly and indirectly involved with the mechanical engineering capstone design since 1992 as an instructor and in the development of laboratory infrastructure in regards to capstone design. 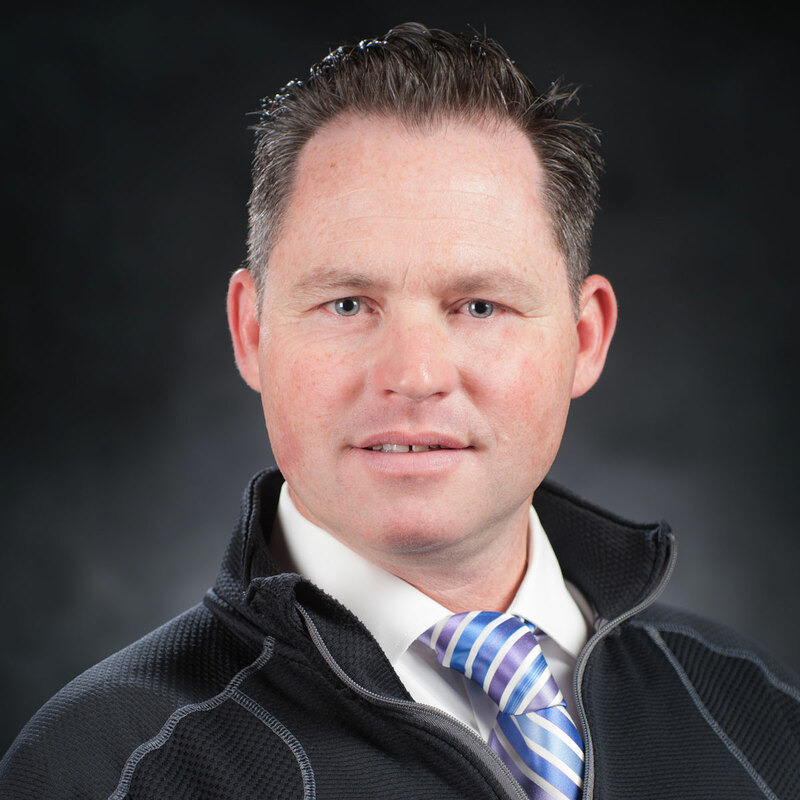 Odom is registered Professional Engineer in the State of Idaho, a member of the American Gear Manufacturing Association and American Society for of Engineering Education. Odom has published in various engineering, experimental mechanics and engineering education journals. He has been the PI and co-PI of projects sponsored by Conoco, the National Science Foundation, NASA, ONR and NIATT. Kevin Chang, Ph.D., P.E. joined the University of Idaho in 2013. Prior to his current position, he was a traffic engineer with the King County Department of Transportation in Seattle, Wash. where he managed the day-to-day operations of the King County Traffic Management Center and supervised the School Safety Program. Chang obtained his undergraduate and graduate degrees in civil engineering, with an emphasis in transportation engineering, from the University of Washington. His research areas focus on traffic safety and operations, transportation security and transportation education, outreach and workforce development. Chang has secured over $2 million in research funding for the university and has graduated four master’s degree students. Chang is a member of the Transportation Research Board’s (TRB) Safety Management Committee, chair of the TRB School Transportation Subcommittee and past chair of the Institute of Transportation Engineers’ (ITE) Transportation Education Committee. He has served as conference chair for the American Society of Civil Engineers’ (ASCE) Regional Student Conference, the University of Idaho’s Cyber Security Symposium and the PacTrans Regional Transportation Conference. Chang has extensive experience in workforce development and has led multiple national transportation engineering webinars for ASCE. A two-time University of Idaho Alumni Awards for Excellence recipient, Chang is the faculty advisor for the University of Idaho’s ASCE and Institute of Transportation Engineers (ITE) student chapters. He was awarded the Outstanding Educator Award by the ITE’s Western District in 2016. Outside of work, Chang serves on the board of directors for the Washington State Golf Association. Don Parks was born and raised in Kendrick, Idaho. He still lives on the family farm in the house his dad built when Parks was a year old. He ventured to Moscow and the U of I in the 1970’s. Parks graduated in 1975 with a degree in agricultural engineering. After graduating he worked for the Department of Agricultural Engineering for a time and completed a master’s degree. He joined his grandfather, father and brother working the family farm in 1978. Because of poor commodity prices, in 2003 Parks left the farm in his brother’s capable hands and sought work in the College of Engineering. Instead of being on the third floor in Buchanan Engineering where he worked in the 70’s, he joined the Department of Civil & Environmental Engineering in the basement of Buchanan. He is still there! Parks’ wife, Ann, works for the U of I Center on Disabilities and Human Development. They have three children, who all attended the U of I. He would like to see his two grandsons attend the U of I someday. Parks has a couple other interesting jobs. He is a grounds keeper for two cemeteries near his home. He has not had one complaint from the residents. His other job probably makes up for it. Parks is Chairman of the Kendrick School Board. When not working at one of his jobs, Parks has been known to garden, fish, build a tree house and landscape. Rob Patton is very appreciative of this award and wants to recognize the fact that he could not do his job as effectively without the skills of the amazing U of I staff that support his work. Originally from Southern California, Patton has lived in Idaho since 2008. Patton has more than 20 years experience as a communications professional. He is an expert in strategic communication in new media environments and led his own consulting agency for several years. As marketing communications manager for the College of Engineering Patton provides leadership in a variety of areas, including alumni relations, web and traditional communications, social media, media and public relations, publications and special events — read, all things Engineering Design EXPO. In what seems a life the ago Patton worked for the United States Senate where he was among a group of innovators that developed the first web pages for the legislative body, in fact, Patton is credited for developing the third U.S. Senate web page in history for California Senator Barbara Boxer. Patton has a master’s degree in communication from the University of California, Santa Barbara and a bachelor’s degree from the University of California, San Diego in political science with minor degrees in visual arts and history. Patton is very blessed to have two amazing sons Finn and Wells and a wonderfully talented wife Juliet who is a professor at U of I. When not answering email, sending texts or posting to social media Patton has a passion for baseball. He has coached for the past ten years and was recently appointed Moscow Baseball Association Babe Ruth Vice President. Paula Peterman was born in Boise and raised there most of her childhood. She ventured off as a young adult, experiencing the Phoenix and Chicago areas. After these experiences, she came to appreciate Boise even more and decided that Boise was a great place to live and she returned after about ten years. 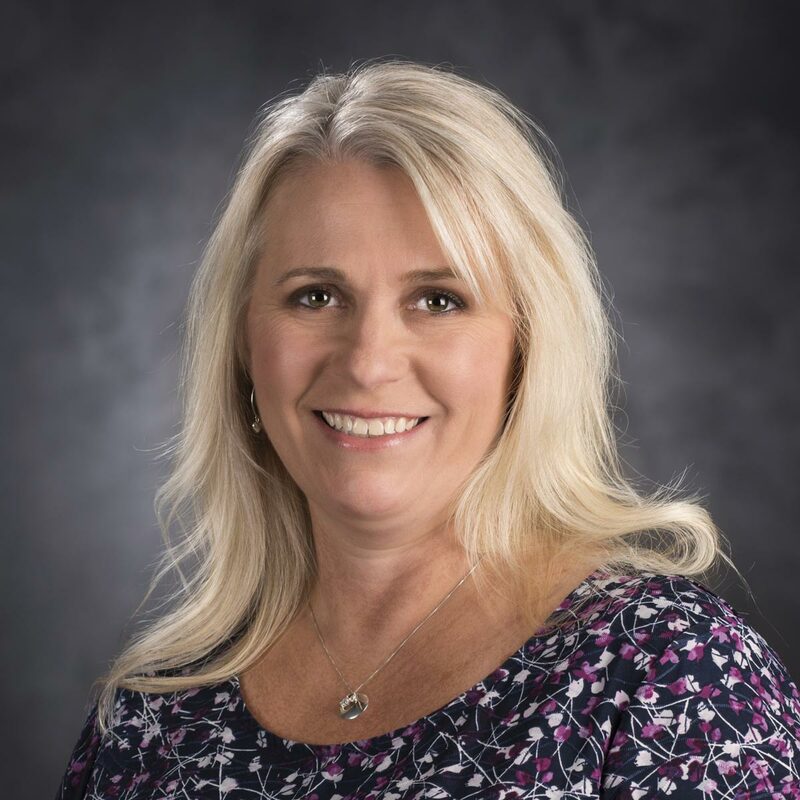 Peterman started her employment with University of Idaho College of Engineering in January of 1999 as an IH employee and was hired full time as an administrative assistant in September 1999. Peterman’s duties and responsibilities have progressed and evolved over the years into her current position of administrative coordinator, working primarily for TechHelp. Peterman has worked with some fantastic, caring people during her career at the university and that, above all else, has meant the most to her. In her personal time, Peterman enjoys hiking the many trails in the foothills around Boise and also going to concerts. Peterman has two adult children who make her very proud!